Spring and summer are the most popular seasons for weddings. Love really is in the air. But while your head is in the clouds, you need to come back to earth for a second and start thinking about all the details that go into planning the perfect wedding. Even if you want to keep it as casual as possible, there are still a million things to think about. Colorado Party Rentals has been planning weddings for a long time, we know exactly how much attention to detail is required. From the venue, to the décor, to the invitations, to audio equipment, to the food, there are more things to think about than you may first realize. When I got married five years ago, we thought we would just do a simple, casual, come as you are, no frills, economically friendly wedding. And, we decided we could do it ourselves. If I had to do it all again, I would have had some help. Not because I don’t have a good head for detail, or because something went wrong, but even the simplest of set ups can turn into complete chaos. We had found a venue where wooden tables and chairs and a fully stocked kitchen were available, and a friend and excellent baker were willing to help out with the cake. Another friend owned an organic hotdog cart that we thought would be a fun casual twist to the typical wedding buffet. And, luckily the sun was shining that day, so eating outside in the beautiful courtyard was luckily not a problem. And, the hotdogs and tofu dogs, with organic carrot and potato mash were excellent and helped to soak up some of the alcohol we had pushed on our guest from the beginning. The cake was absolutely beautiful. In the end, the day was an unforgettable day with friends, family, collegues and a whole lot of love. But the stress….oh the stress of doing it all ourselves! The trouble with doing it all yourself is that, try as you may, you are going to forget little things here and there, so when the wedding day arrives, you are constantly playing catchup. Plus, little details had fallen through the cracks. Like buying all the alcohol in bulk, realizing we didn’t have the time to shop because we waited too long, and ending up spending way more than we wanted having a bar set-up delivered last minute. And when we finally did figure out how to set up the beer keg, it turned out the cooling devise was broken. Luckily I was able to get the guys back after hours and it turned out fine in the end, but the stress, oh the stress. Stress does not look good on your make, whether you are a bride or a groom. And what about decorations for the venue? Do you know how long it takes to decorate a room for just under 100 people? I don’t even remember how long it took me and my best friend, because of course we thought we would have a fun day decorating the room, instead we spent way too much time making trips back and forth to the party supply store because we had forgotten things, or not bought enough of one thing or another. And, making flower center pieces seems like a breeze when you are imagining it in your head, but when you are standing there with 500 roses (with thorns), time all of a sudden moves very fast, and the more you stress, the less organized you get. My husband’s friend is a great chef and volunteered to make home made fresh salsa for everyone to snack on, and we had a whole bunch of strawberries to go with the champagne. Of course, we hadn’t thought about just how long it would take to deseed and chop tomatoes for 100 people, so late into the night, before our wedding day, we are in the kitchen chopping away, the stress wearing on all of us. This is not how you want to spend the night before your wedding. And on the day of the wedding, we hadn’t thought about how long it would take to pour 100 glasses of champagne before we could finally all toast. It’s the little things that you never think about when planning a big event. Luckily we at Colorado Party Rentals have been planning weddings for over a decade and we know what it takes to make your wedding a success. We are well aware of all the little details to keep track of. If you are getting married, do not wait any longer to get started on planning the perfect wedding. We can make it as big or as casual as you want, but most importantly we will make the whole day run like a well-oiled machine, and you will never have to think about where the extra glasses are, how to turn on the sound system (yup, we forgot to check that and had to start the day fiddling around with a lot of wires.) 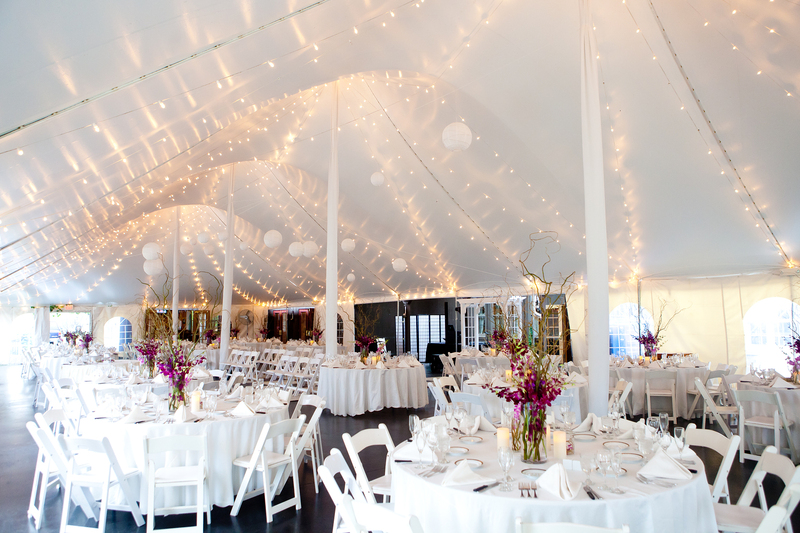 We can take care of all the party rental equipment, from tables, chairs, lines, stemware, audio equipment and tents. Together we can ensure that your big day is stress free and unforgettable. Call one of our wedding specialists today and set up an appointment to see our showroom. This is the first day of the rest of your life, and we want you to enjoy it!